Asphalt Paving & Sealing of Virginia Beach is the best driveway & parking lot contractor serving VA Beach, Norfolk, Chesapeake, Portsmouth, Hampton, Newport News and Suffolk areas. Our team of experts will ensure outstanding service at great prices. We understand that not everyone can afford to spend a ton of money on a brand new driveway, which is why we highly recommend trying driveway repair & sealcoating prior to having it resurfaced and replaced, which is a huge job and can cost a lot of money. ​ If, however, you feel like driveway resurfacing is the way to go, please give us a call. We will evaluate your individual situation and give you a fair estimate as well as the type of work that should be performed. ​We pride ourselves in putting our customer before the business and making profits to ensure that every customer is treated right, and we firmly believe that success will come after. Find out more about our company here or contact us here. Asphalt Paving Contractors doing mostly parking lot & driveway work for most types of properties. Parking lot & driveway paving, repairs, replacements, resurfacing & sealcoating. We also do various types of work with asphalt and blacktop. Feel free to call us for a complete list of services, most popular ones include: Pothole repairs, Crack sealing, road construction and other types of commercial work. Asphalt company that cares about your driveway. When it's time to choose your asphalt company, there are a few things to consider. 1. Does the paving company you're about to hire actually care about you and not your money. Will it act in your best interest or their own. These are just a couple of things to think about when driveway repair is on your mind. 2. Are the paving contractors you're about to hire properly licenses according with the state of Virginia law. Many companies who provide paving services advertise themselves as properly licensed, but in reality are not. What does that mean for you, the customer? Well, let say you had an asphalt driveway paved at your residence a year ago and now it's falling apart and cracking. Sealcoating just won't do it, and it might need to be stripped and repaved completely. If the paving isn't done right the first time, then all bets are off, which is why you only want to hire licensed paving contractors and asphalt companies. 3. What about insurance? If your require commercial or residential paving work, the company performing it must be fully insured in order to keep you as well as themselves protected. We see too many paver companies in the marketplace offering asphalt services while not being properly insured and protecting their consumer. We are strongly against it and encourage our clients to do proper research and due diligence prior to hiring their next residential paving company. Paving Contractors On Call in Virginia Beach. Asphalt Paving & Sealing of Virginia Beach is there when you need us most. ​We provide our clientele with residential & commercial paving services no matter if it's a driveway that needs some repair or sealcoating, a parking lot that could use stripping, resurfacing and sealing or a parking apron that just doesn't look that appealing and needs a face lift. ​No matter what paving work you need done, we are here to help. ​Our paving contractors will provide you with a cost free estimate on any asphalt service you are in need of and all you have to do is give us a call at (757) 364-0371 or fill out our FREE Quote form and one of our representative will get back with your shortly to schedule an appointment in order to discuss the asphalt work you need done and the price. Driveway you can be proud of. ﻿Whether you are looking for a paving job or to sealcoat a driveway, there are things you should know regarding the quality and durability of the asphalt that is being paved on to your property. First off, the blacktop paving is performed using hot asphalt which is already mixed and then paved on to a driveway, road or a parking lot. Some of the precautions are of course, the heat. 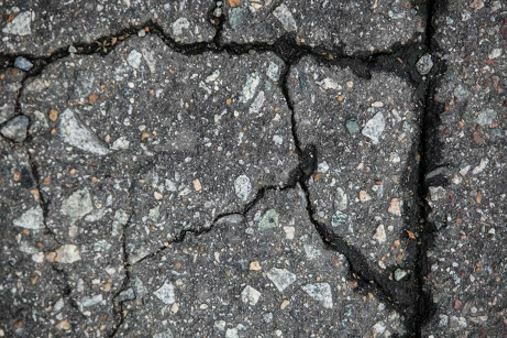 Hot asphalt can burn if it's touched immediately after it's packed. If you or anyone you know have ever done blacktop driveway resurfacing, they will tell you that the tightness of the paving area is something you have to deal with, because no big paving equipment can get in there, so it means… A lot of manual work… So, what is a paved driveway cost then? It most certainly depends on the driveway contractors you end up hiring. ​ Everyone prices their paving services differently. Something that our paver company does offer, is a FREE Estimate before we perform any paving work on your property. What does it take to seal coat a driveway? The answer is simple… It takes our company to come out, measure your property, give you an estimate and begin the work! No need to call around town looking for driveway repair & replacement companies, when we are right next door. So, what are you waiting for? Call us now at (757) 364-0371. To seal or not to seal coat! Well of course to sealcoat! When the property owner, either residential, commercial or industrial needs to sealcoat a driveway or get parking lot striping done, they call around to all the sealcoating companies and shop the price of an asphalt driveway for example. Going back and forth between the prices provided, they have to make a key decision about the paving company they can should trust. We often hear people say that you weren't the asphalt company near me when I was shopping. ​ That is why we cover all of Hampton Roads area to include Virginia Beach, Norfolk and Chesapeake where we promise to deliver the paved driveway to you at no additional cost. We do complete sealcoat & striping work in Virginia Beach. Because it helps with driveway repair & preservation. It's like sealing your kitchen sink, that way it doesn't leak out and flood your home. Whether residential, commercial or industrial property, we will sealcoat and leave it looking amazing. All you have to do is dial (757) 364-0371 or fill out our FREE quote form. Your friendly parking lot company. Is your asphalt parking lot in need of a good striping, sealing or resurfacing? If the answer is YES, then you should go ahead and call Asphalt Paving & Sealing of Virginia Beach at (757) 364-0371 now! ​ We provide our valued customers with the best paving services available in the Hampton Roads! If you ever ask, who is the best paving contractor in Virginia Beach, you bet that the answer will be Asphalt Paving & Sealing of Virginia Beach every time no matter who you're asking. Why would you hire our company for parking lot striping? It's a very good question, with a simple answer… We are the best pavers in Virginia Beach, Chesapeake and Norfolk! Believe it or not, but we value our how our customers see us and we also appreciate their feedback. ​ It is very important for our driveway contractors to listen to the clientele when it comes to customer service. As the best paving company we want to show our best in terms of support for our customers and their questions as well as doing the best work we can for them. The two combine into a happy client and a happy contractor. 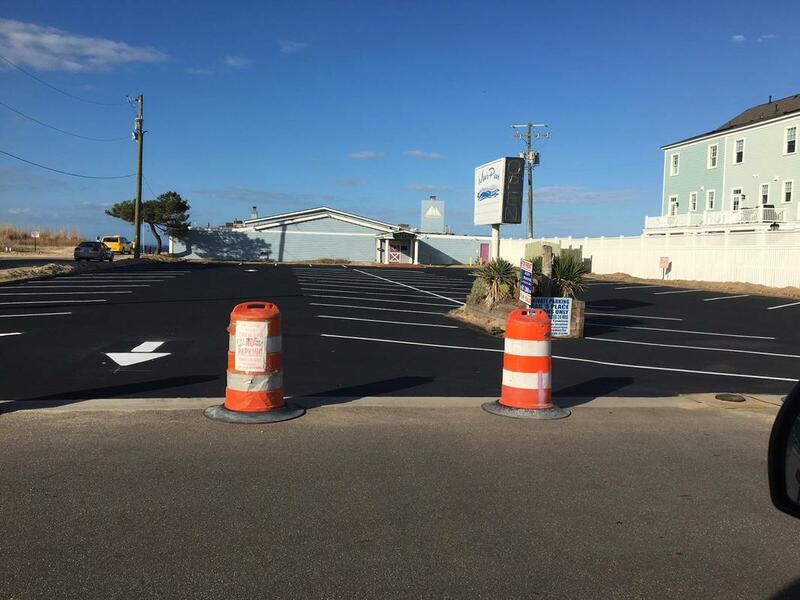 Asphalt Paving & Sealing of Virginia Beach don't just do paving, but will also contract for asphalt & parking lot painting / stenciling. Why would you want paint on you fresh asphalt? Well, if you own a parking lot for example, the painting can be performed for handicap accessible vans or handicap signs with blue paint. We also do road paving and paint marking if that is something that your property requires. Either way, if you're in the market to get a driveway repair, replacement, resurfacing or sealcoating, give us a call and we'll be happy to assist you. Why choose asphalt over other paving materials? So many people ask us about it, so we decided to voice our opinion here. As you might already know, there are certain advantages to both types of pavement. Some people choose to combine the two and there's absolutely nothing wrong with that. First important difference to note is the price. Concrete can be very expensive to install, while asphalt does cost money, just not as much. For an asphalt driveway, you can expect to pay up to 5 dollars per square foot, which in our estimation is the price ceiling, but will depend on where you live. Concrete on the other side, can cost you well over 7 dollars per square foot, depending on the finish you choose. 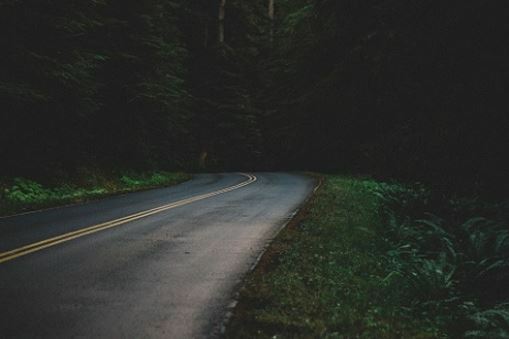 As time goes by, your driveway is gonna need repairs done to it and it can get pretty costly if it's made out of concrete rather than asphalt. Repairs can be done for both types of payment, but are definitely cheaper and easier on asphalted surfaces. Last, but not least are maintenance costs. This is an especially big topic for parking lot owners, because of their size and striping needs. So, what is all the asphalt needs to look amazing again after a couple of years in a abusive relationship with many cars and people walking all over it? Some sealing will do just fine, maybe resurfacing when needed, but that's about it. What's the difference between sealcoating and repaving the asphalt? Very good question! One of the biggest differences between the two is the price. Sealing an existing parking lot would be much cheaper and easier than to pave a brand new one, unless of course it's falling apart and has to be replaced. Think of sealcoat as a facelift for the pavement. It's a spray that covers and seals the surface while making it look shiny and brand new. All driveway & parking lot replacement really is… It's a newly paved surface, meaning the old one gets removed and new one get installed and leveled. Well, think of it as a fresh coat of paint, which also happens to seal and prevent destructive elements from seeping through and deteriorating the foundation. It does cost less than big repair work and will look amazing once completed. Another cool feature is that sealcoat doesn't take all that long to cure and you can start walking on it soon after it's not sticky any longer. Does your company provide free estimates? We most certainly do. Any asphalt work you need done, simply call us at (757) 364-0371 and request a free estimate. We will schedule a date and time to come and look at your property. Generally, we prefer to have the customer there, guiding us and explaining what exactly they would like to have done. If they aren't available during the week and the work needed done is self explanatory like a complete driveway replacement, then we can do an estimate without the owner present and call back with details. Do you pave on weekends when needed? We have done work on weekends before, for projects like school and mall parking lots. We understand that everyone has different needs and are open to work with anyone depending on their situation. Yes, weekend work isn't all that fun, especially in the summer when the sun just isn't playing games and blasts the heat like there's no tomorrow, but we sure do it. Can you give advice on paving options while doing the free estimate? Totally! We want to ensure that our customers are satisfied with the end result, so yes, we will definitely give our honest opinion on whether sealcoating is the best option for you and if resurfacing is a necessity in your situation. Those are the two we get asked a lot, so please feel free to ask the same questions. We will be posting more estimate related questions later on. Can a newly paved driveway bring value to my home? You bet! And it's not just about the looks, even though it will look amazing once completed. Not many home buyers are looking to purchase a property that needs work done to it, because it's a hassle and people are willing to pay more in order to not have to hire a contractor. It's also a great thing to list on the profile for that particular property, and believe it or not, people love new stuff that comes as a part of something else, such as a home. We get great feedback, as some of our customers were able to raise the price as sell their home, while making 2 to 3 times return on investment into that driveway and the side road. Our company started off doing asphalt repairs and resurfacing only in Virginia Beach, but due to the high demand, we were forced expand and start paving driveways and parking lots all over Chesapeake, Norfolk, Portsmouth, Newport News, Hampton and Suffolk when opportunity presents itself. Our current focus is on the Hampton Roads area and we will continue to expand our asphalt company as the demand grows. What type of sealant do you use for sealcoating of the asphalt? Generally, we use commercial grade sealant for parking lots and driveways. Alternatively, we will utilize the general sealer which is usually kept as backup. We specialize in driveways, aprons and parking lots. Will also do road paving when needed. When it comes to the size, it doesn't really make a difference, whether it's a huge, commercial size, shopping center parking lot or small, residential, side road next to your house, we'll get it done for ya in a blink of an eye. Do you make the asphalt used for paving? No, we do not. As an asphalt contractor, we purchase asphalt based on demand and will use it in combination with our machinery to get the work done. Many people ask whether or not we're an asphalt manufacturer or a plant, but we're not, at least as of now.